Although most of New York City is a sprawling concrete jungle, there are still plenty of natural green sanctuaries dotting the metropolis. You just need to know where to look! 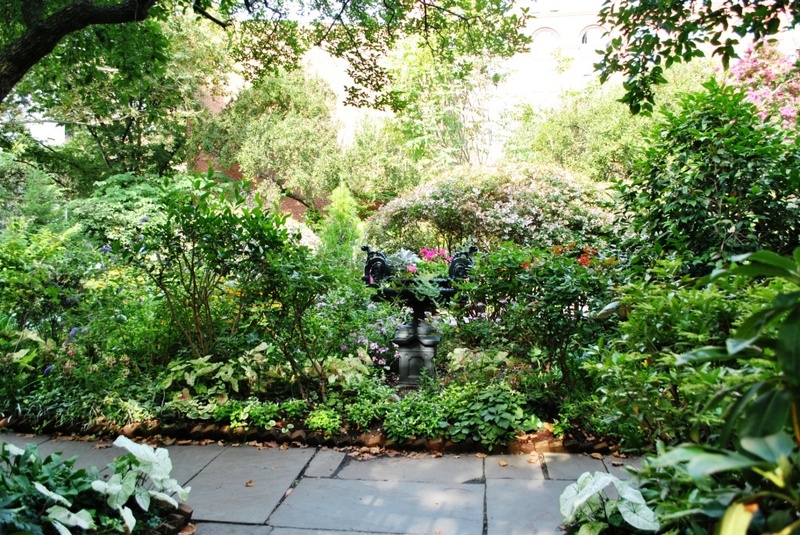 If you’re searching for that perfect garden oasis amidst the chaos of crowded NYC streets, we’ve got you covered. Our list below showcases 5 of the most serene and beautiful gardens that are located in the bustling Big Apple. The New York Botanical Garden is undoubtedly the most popular garden in NYC and is usually a hot spot for tourists to visit. If you’ve never been to NYC before, you owe it to yourself to check out this gorgeous 250-acre green space, where you’ll find 50 unique gardens that include wetland trails, flower exhibits, waterfalls, rivers, and an impressive indoor rain forest. 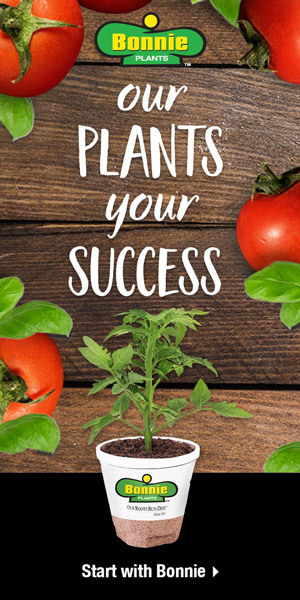 The botanical garden also hosts many art galleries and exhibitions, so be sure to check out the calendar to see what exciting event is happening when you’re in town. Bird watchers will love the many birds that live within the Fields grounds. For history buffs, the Bartow-Pell Historic Mansion and Garden is perfect for learning about the history of 19th-century life within the Bronx. There’s a decidedly British feel to the mansion’s garden which was created with deliberate neoclassical design in mind. The grounds here contain the Terrace Garden, the Herb Garden, and plenty of walking trails with benches to sit on. 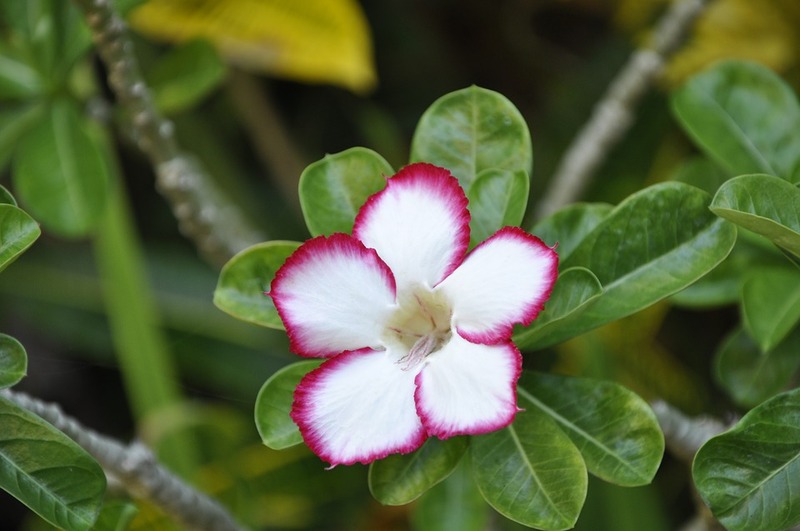 With many flowers surrounding the estate, plant life includes hydrangeas, trumpet vines, wildflowers and more. You’ll also find local rabbits, birds, and even turkeys as you stroll through the forests and along the paths. The Fort Tryon Park was designed by the famous landscape architect Frederick Law Olmsted Jr., who was contracted to do the work by John D. Rockefeller Jr. himself in 1927. The park was gifted to the city of New York in 1931 and residents and visitors alike have enjoyed the retreat ever since. 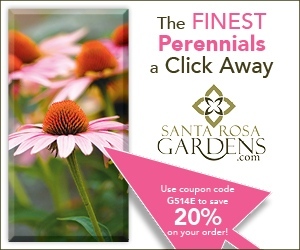 There are over eight miles of winding pathways to choose from in this lovely forest area with about 500 different varieties of plants, shrubs, and trees. 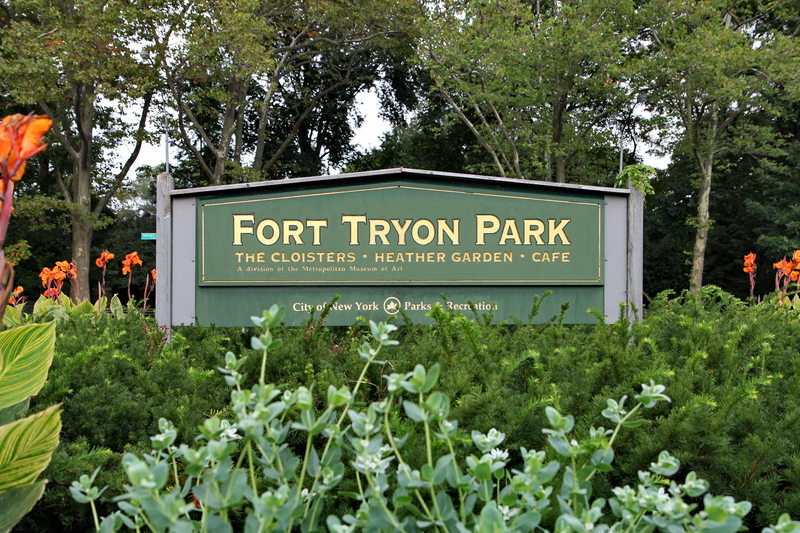 Dog lovers are especially fond of Fort Tryon’s dog-friendly policy; humans and dogs alike can enjoy long nature walks in the middle of the city. Visitors can also stop at the Cloisters, which houses a wide array of medieval artwork. Fort Tyron Park is the perfect place for scenic walks that are dog-friendly. This intimate urban park tucked into a corner of Sutton Place provides a welcome reprieve from the hustle and bustle of Manhattan. With a modern terrace that opens to a forest of trees and an impressive waterfall, this garden is a true oasis tucked within the busy city. The soothing sounds of the waterfall drown out all noise from the surrounding streets and provides the ideal spot for reading a book and finding some zen. 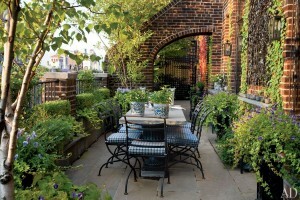 The garden is also perfect for bringing a picnic lunch or dinner and enjoying outdoor time with friends and family.